What on Earth happened to Ghostbusters? The disappointment felt in the recent attempted rebirth transcended some fans’ protests about the all-female cast, as we were all treated to an uncomfortably bad movie. Bringing this cult hit of a brand back to the big screen was a no-brainer. The Ghostbusters' following is colossal and passionate about the original source material, so it made total fiscal sense to give the fans something new. And credit to Sony pictures – they wanted to try something different and break from the conventions of the past. But while many people will look on the failure of the Ghostbusters remake as a victim of overwhelming negativity from a vocal fan base, that isn’t the problem. The problem, simply put, is that it’s a forgettable movie. It ticks most of the metaphorical boxes – it's full of energy and even managing to poke the funny bone every now and again, but it has the same energy and humour as any other American comedy in 2016. At the same time, the situational gags of the original Ghostbusters still land today, which proves the timeless unique nature of the original that you simply cannot find in any other movie. The remake is that Flake 99 ice cream from the van up the street. The original is that mountain of authentic Gelato you tasted during your holiday to Rome. Get the picture? So, as the headline suggests, let’s figure out how to bring the essence of Ghostbusters back to life for a new generation. Let’s not leave the franchise reduced to… well… a ghost of its former self (sorry). 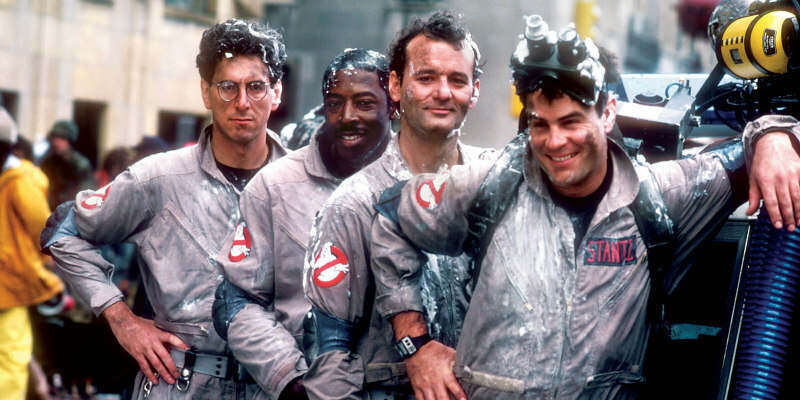 Because, let’s not forget, Ghostbusters is important – not just to nerds born in the wrong decade such as some of us, but it is an incredibly captivating universe the world over. Kids are instantly immersed in a world of imagination with the huge universe of toys. And this love continues into other media forms, including comics and some rather entertaining slot machines that you can try at no charge with the oddschecker sign up bonus. It’s a franchise that is more intangibly valuable than the billions of dollars it has probably raked in across merchandise, games, comics, books and even toilet seats and glow-in-the-dark bed covers. That’s why it is crucial to do this series justice and bring it back in just the right way. How do we do this? Good question. This is not a critique of the style of humour used in the new Ghostbusters, but let's face it: it’s a much better fit for any traditional American comedy, whereas the classics contained great slapstick moments paired with perfect deadpan delivery. Do not forget the brilliance of the original performances and stay faithful to these. If Star Wars proved anything, it’s that fans love to see more nostalgia to ease them into a new era of their beloved franchise. By this, we're referring to the original Ghostbusters 3 that was lost in development hell and tossed between many different teams with little success. In a radio interview given in 2007, Akroyd spoke of this sequel – talking about how it would have featured the Ghostbusters going to hell (or ManHELLton) and visiting a Donald Trump-like character named Lou Siffler (a not-so-cleverly disguise for the name Lucifer). Current day political satire aside, this sounded like the perfect escalation of the original Ghostbusters story, upscaling the problems faced by our protagonists to fighting satan himself. A mixture of team complications and the refusal of Bill Murray to reclaim his original role aided in the ultimate death of this project, but what if they could take this script and tried again? It would be amazing to realize the original vision for the Ghostbusters. This could pick up some controversy, so let's be clear from the outset. The choice of a female cast in the new Ghostbusters is not and must not be viewed as a problem like much of the narrower minded fan base members lashed out about. But with that in mind, casting choices need to be a bit better. We’re honouring some legendary characters here, originally established by titans like Harold Ramis and Ernie Hudson. It wouldn’t hurt to look at the cream of the crop and see who fits into these nostalgic roles. For example, Egon Spengler as the science nerd with a lack of nuance in social situations is a perfect fit for Danny Pudi (taking inspiration from his role as Abed from Community there). Combine all of these elements, and you’re sure to create a classic that does the Ghostbusters name justice. You can’t win them all over, but this is a good start.